Fastest growing skills online is changing so fast with developing technologies. 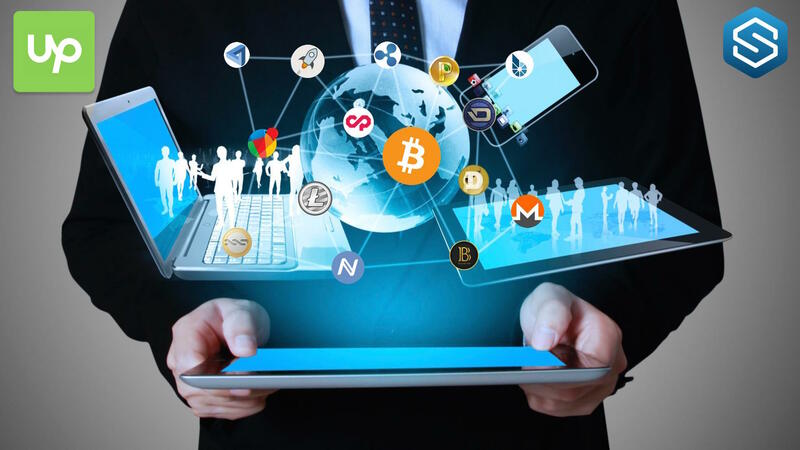 Now Bitcoin and Blockchain are on the top of the list with the price of bitcoin topping $6,000, workers with expertise in cryptocurrencies are in high demand. As cryptocurrencies explode in popularity, employers are clamoring for workers with expertise in the emerging field. Demand for online freelancers who specialize in blockchain and bitcoin-related work surged last quarter, according to data compiled by Upwork, a website that connects freelancers with employers. 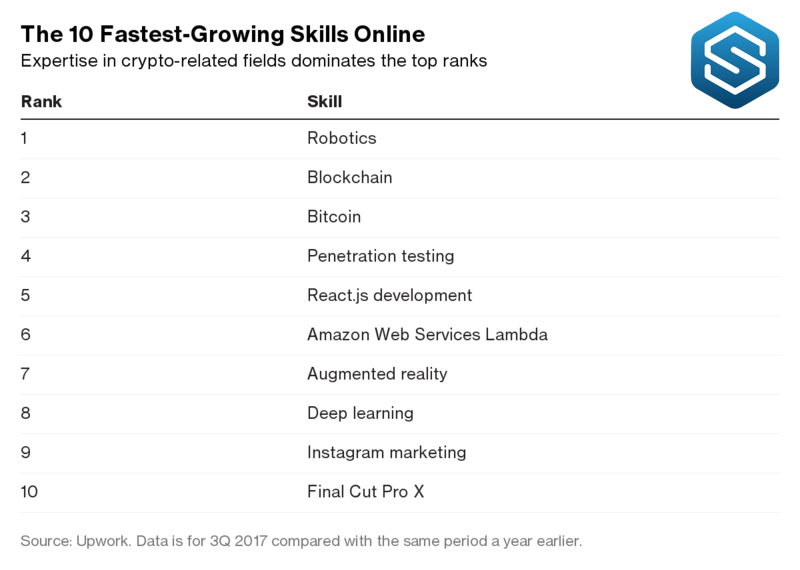 The two skills were respectively the second and third fastest-growing skills on Upwork’s platform. With the price of bitcoin having surged more than 500 percent this year, companies are rushing in to capitalize on the boom. CME Group Inc. announced Tuesday that it will soon launch bitcoin futures. 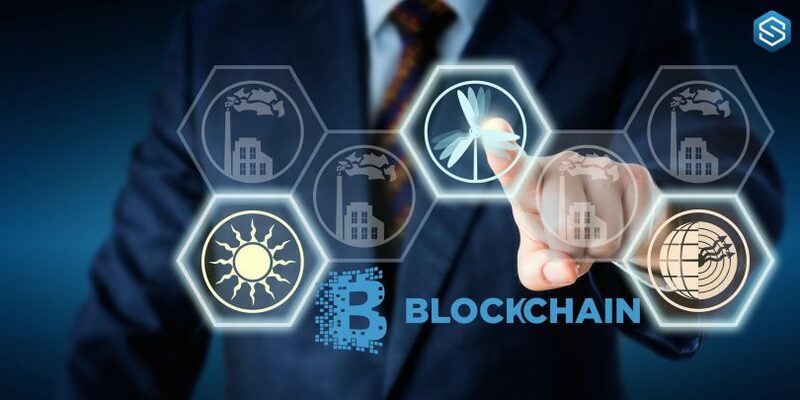 In the meantime, an entire industry is developing around blockchain’s distributed-ledger technology. 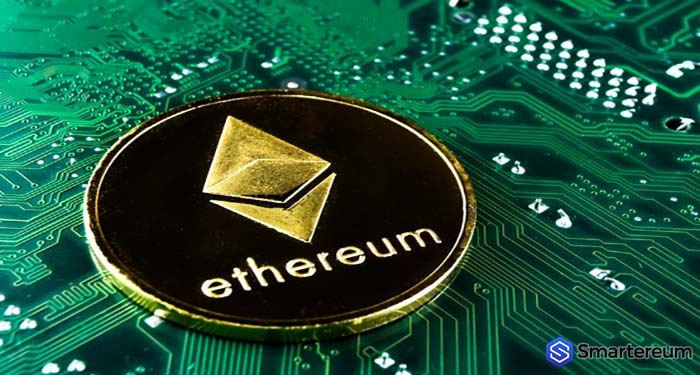 Aside from processing transactions for cryptocurrencies including bitcoin, blockchain could also help businesses run more efficiently by cutting out intermediaries, according to the technology’s proponents. Upwork. Data is for 3Q 2017 compared with the same period a year earlier. 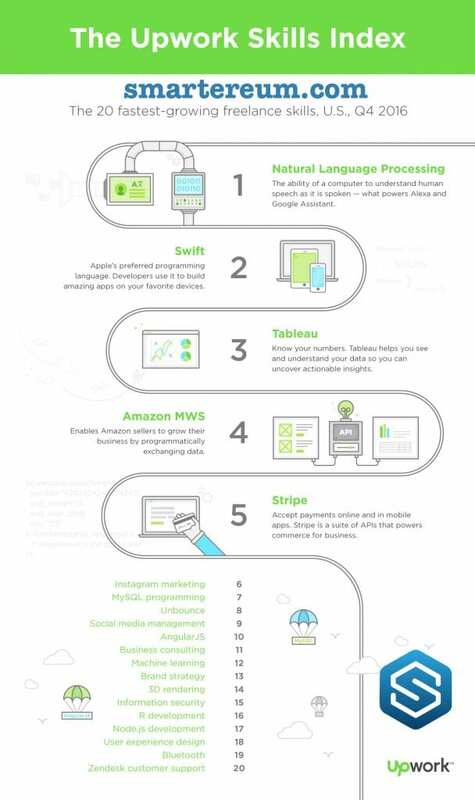 Other skills in Upwork’s list of fastest-growing skills include robotics (No. 1), as well as a cybersecurity specialty called penetration testing (No. 4) and a subfield in artificial intelligence called deep learning (No. 8). Upwork calculated growth rates based on U.S. freelancer billings on its website during the third quarter of 2017, compared with the same quarter a year earlier. The table above shows the 10 fastest-growing skills, which all grew by more than 200 percent.